Leicester showed plenty of spirit when drawing at Liverpool in midweek and are now fancied to take a point off Manchester United on home turf. The Red Devils have won on just one of their last four Premier League trips to King Power Stadium, with two of those visits ending in stalemate. We reckon 5/2 for another draw here is a value bet for our first Leicester vs Man Utd prediction. Leicester gained compensation for a last-gasp 4-3 loss at Wolves when holding Liverpool to a 1-1 draw at Anfield on Wednesday night. Sadio Mane put the Reds ahead after just 121 seconds but a lapse in concentration allowed Harry Maguire to equalise in first-half added time. The Foxes had to ride their luck a little, with Naby Keita denied a penalty and Maguire escaping with a yellow card for bringing down Mane as he threatened to race clear. However, City also looked dangerous on occasions, with James Maddison heading a golden opportunity wide. “I think it is a good performance,” said Claude Puel. “We started slowly and conceded a goal, but after we showed fantastic character and personality. Maguire bagged a stoppage-time equaliser when Leicester drew 2-2 with United at this venue last season and has been linked with a move to Old Trafford. Looking at the Leicester vs Man Utd odds, the England defender is 19/2 to put himself in the shop window by netting again here. Last Leicester line-up: Schmeichel, Chilwell, Evans, Pereira, Maguire, Gray, Maddison, Albrighton, Mendy, Ndidi, Vardy. New Leicester signing Youri Tielemans will hope to be involved after joining on loan from Monaco. Only Daniel Amartey, who is still working his way back from surgery after a broken ankle, is definitely out. After eight straight wins under Ole Gunnar Solskjaer, United looked like they had taken too much notice of their own hype when a lacklustre display allowed Burnley to take a 2-0 lead at Old Trafford. 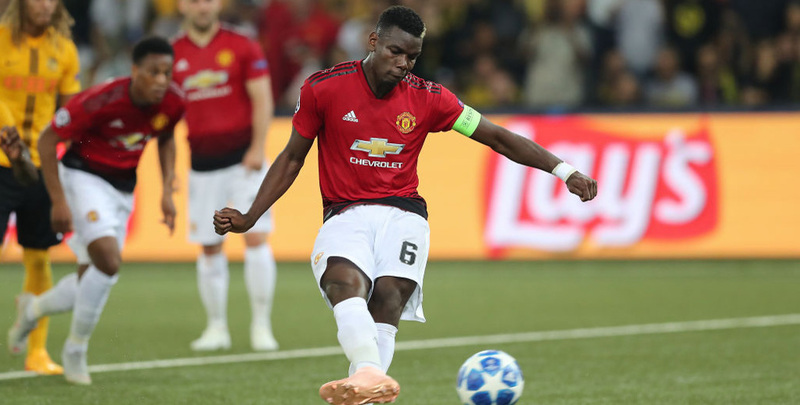 However, Paul Pogba’s 87th-minute penalty and a stoppage-time strike by Victor Lindelof at least saved the interim manager from a first defeat. “We are disappointed with ourselves because the way that we played when we conceded the second goal, we should have started like that and the game would be different,” Pogba said. If the Red Devils do look to open up from the outset at King Power Stadium, that could lead to an entertaining contest. Let’s add 31/10 for both teams to score in the first half to our Leicester vs Man Utd betting tips. Last Man Utd line-up: De Gea, Lindelof, Jones, Young, Shaw, Pogba, Mata, Pereira, Matic, Lukaku, Rashford. Solskjaer expects Anthony Martial and Pogba to be fit after knocks, while Chris Smalling returned to the bench in midweek following a foot injury and is pushing for his first appearance in two months.